Universal Air Travel Plan (UATP), a payment network owned by major international airlines such as American Airways, British Airways and Lufthansa, has partnered with bitcoin payment processor Bitnet. The integration allows over 260 of UATP's airlines to accept bitcoin through Bitnet, starting today. Introduced in 1936, UATP is credited with issuing the first-ever charge card. As of 2014, the company processes around $14bn in payments from corporate customers, travel agents and retail consumers. Additional UATP merchants include JetBlue, Qantas, US Airways and United Airlines. Akif Khan, vice president of solutions strategy at Bitnet, said he expects the airline's clients to enable the payment method given the high cost of credit card processing, challenges with fraud mitigation and the need for improved cross-border payment tools. Bitcoin? It's weird. It's a trend, it's a fad, and it's a financial bubble waiting to pop. It'll never last. At least that's what most people who aren't familiar this new-fangled digital currency would say. The 'never last' thing however is contrary to what's happening today with the recent opening the first Bitcoin exchange in America, Coinbase as well as the recent acceptance of the digital currency in some major stores. Bitcoin which began in January 2009 is a relatively new concept. The iPad just began in 2010 and now tablets are everywhere. But with Bitcoin, it's kind of hard to readily accept especially with a lot of real money and resources riding on it. But that's actually what gives it value, the actual money and resources behind it is substantial and continues to grow. Bitcoin has had its ups and downs. Since it's basically software, subject to bugs and hacks but through its growing community, the currency has somewhat stabilized earning the confidence of many individuals, organizations and companies. Some of the folks at BitPay have just released the stats of 2014's Bitcoin performance - the numbers that get less fanfare than the price, but are no less indicative of the currency's prospects. Bitcoin is used all over the world, but there are some areas that see higher concentrations of activity. The five countries where Bitcoin is used most are the United States, the United Kingdom, Canada, Germany, and the Netherlands. Western society has a tendency to focus on how Bitcoin and the world, revolve around them in domestic terms. Bitcoin has been a very exciting investment opportunity, with five years of unprecedented growth, followed by one year of epic drops in dollar value. It has mostly made its name based on that history alone, but Bitcoin is much more than a mere high-risk, high-yield investment. This is especially true in developing nations and emerging markets. The naysayers and pessimists in particular always fail to see the forest through the trees when it comes to Bitcoin, and its global growth potential. Africa represents many perceptions to many people. What is undeniable is that it is an emerging market, ripe for extensive development, especially economically. Proof of this has been shown in Kenya, one of the more developed African nations. Kenya could represent any economically developing nation whether it is in Latin America, Indonesia or Europe. Long before Americans and Brits were learning how to transfer digital currency on their smartphones, Kenyans were doing it every day, in the real world, with great success. 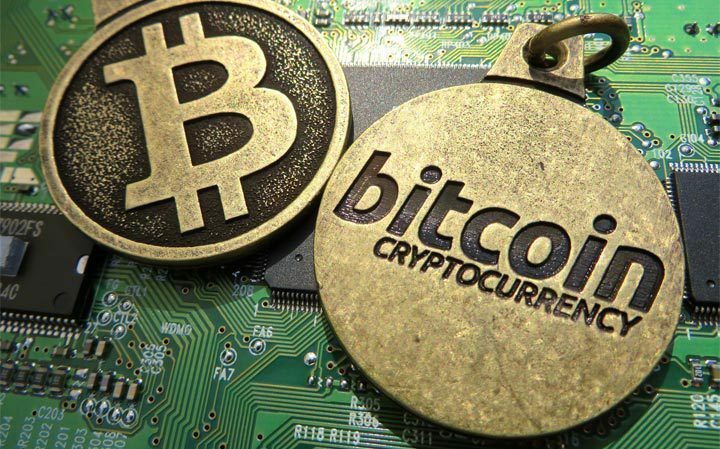 Kenya-based bitcoin services provider BitPesa has raised $1.1m as part of a new funding round led by hedge fund Pantera Capital. Additional participants in the round included VC firms Bitcoin Opportunity Corp, Crypto Currency Partners, Future/Perfect Ventures and Stephens Investment Management. BitPesa CEO Elizabeth Rossiello explained that funding comes at a time when the nine-member team is still evolving its core services and seeking to identify the target consumers for whom the offering will be most appealing. The service currently enables the exchange of bitcoin for Kenyan Shillings, and allows users in Kenya and Ghana to send fiat funds to popular mobile money wallets. "We've had our heads down building a solid product, and now we're hiring to grow. A big part of that is expanding our team to help us grow in other markets where we see the demand." Two Albany area cafes plan to install Bitcoin ATMs in their stores to give customers the opportunity to pay with the virtual currency. Bitcoins are a decentralized digital currency that is not issued through a bank, meaning it is all based online. The automated machines turn traditional money into virtual currency. One bitcoin is currently worth $218.60. Tesoros Cafe at 1712 Union St. in Schenectady and The Fortunate Cup at 120 West Ave. in Saratoga Springs are among the few area cafes that will install the ATMs.